Food production and metalworking are believed to be one of the most important progressions in African prehistory. The clearance of the forest, the working of the wood, the quarrying and carving of stones, the cultivation of the ground and the slaughtering of enemies were all accompanied more efficiently and with less effort by people who were more equipped with iron tools and weapons. In Lejja-Igboland, southeastern Nigeria, iron smelting is an indigenous craft specialisation that flourished on an industrial scale, from around 2000 BC and lasted until the later part of the twentieth century A.D. Evidence in the form of relic furnaces, and extensive slag and tuyere remains are widely visible in the landscape today. The vast number of slag blocks on the surface reveals that iron working in this region was a highly sophisticated, long-lived and well-developed tradition with its techniques that involved relatively large scale metal production. For decades, archaeological investigations in Lejja has focused mainly on the technology of iron working production, pottery cultural sequence and symbolic and political stratification. However, the bulk of past research has largely overlooked the farming communities themselves who utilised and may have fashioned such iron technologies. No systematic survey has been undertaken to locate and explore associated settlement sites, and consequently, we know very little about the people and economy of the area across this period of iron working. My PhD research at the Department of Archaeology, University of Cambridge aims to identify the earliest evidence for agricultural production in Lejja. The study also intends to analyse the relationship between the iron working sites and agriculture in the deeper past by establishing a baseline chronological sequence and essential economic characteristics from archaeobotanical data via flotation and soil sampling methods. These archaeobotanical data will then be used in identifying whether these early ironworkers (or the people at the metalworking sites) were the direct food producers or acquired foodstuff from their neighbours through exchange mechanism. I am the Yam Beetle (Heteroligus meles); I come from the proud family of Coleoptera;We came into existence in the Permian*, light years before humans were conceived;My relatives, the bee and butterfly, and I pollinate over 80% of plants worldwide;Our activities guarantee the reproduction of plants and ensure food security;Yet I am vilified by farmers, accused of causing major damage to yams in Nigeria.Lazy farmers, whose efforts yield predictably poor harvests, blame me for their misfortunes. A Newton postdoctoral research investigating ancient farming in the Benue Valley, Benue State, north-central Nigeria was initiated in early 2016. It is one of the outcomes of the African Farming Network Project. The main study areas of the current research are Ushongo and Katsina Ala towns of Tivland. The Tiv have been farmers for as long as they can remember; their major crops being yams (Dioscorea spp. ), cereals, legumes and vegetables. Oral tradition holds that yams were the earliest crops while cereals were introduced subsequently. Where did the Tiv migrate from, Cameroon or the Congo? At what time did they arrive in the Benue Valley; did they bring yams with them, from where and by whom were the cereals introduced into the valley? Archaeologists have not yet been successful in ascertaining what constituted the earliest food crops as well as ancient farming strategies of the Tiv. Employing systematic archaeobotanical and geo-archaeological approaches, this research attempts to reconstruct the vegetation and soil histories of the Benue valley, and decipher farming dynamics as well as human impact on the landscape. Many congratulations to Dr Emuobosa Orijemie who has been awarded a two year Royal Society Newton International Fellowship in Cambridge to build on the African Farming Network by developing new research in Tiv-land Nigeria. With Professor French in Cambridge and ongoing support from the African Farming Network, Dr Orijemie will undertake a project titled ‘New applied approaches to African farming systems: the long-term history of farming in Tiv, Nigeria’. We look forward to working with Emuobosa in the future and wish him all the best with the move to Cambridge! Between 4th and 8th of May 2015 we held the final network workshop in Cambridge, UK. As with the other workshops, this consisted of a week-long series of meetings, field-visits and practical demonstrations. The workshop was attended by participants from Kenya, South Africa, Nigeria and the UK, including Dr Freda M’Mbogori (National Museums of Kenya/British Institute in Eastern Africa), Mr Timothy Kikeu Kiprutto (Marakwet Research Station/British Institute in Eastern Africa), Dr Alex Schoeman (Witts, South Africa), Ms Tanya Hattingh (Witts, South Africa), Professor Caleb Adebayo Folorunso (Ibadan, Nigeria), Dr Emuobosa Orijemie (Ibadan, Nigeria), Dr Matthew Davies (Cambridge/UCL, UK), and Professor Henrietta Moore (UCL, UK). We were also joined at times by Professor Charly French (Cambridge, UK) and Professor Martin Jones (Cambridge, UK) and number of other invited UK academics. 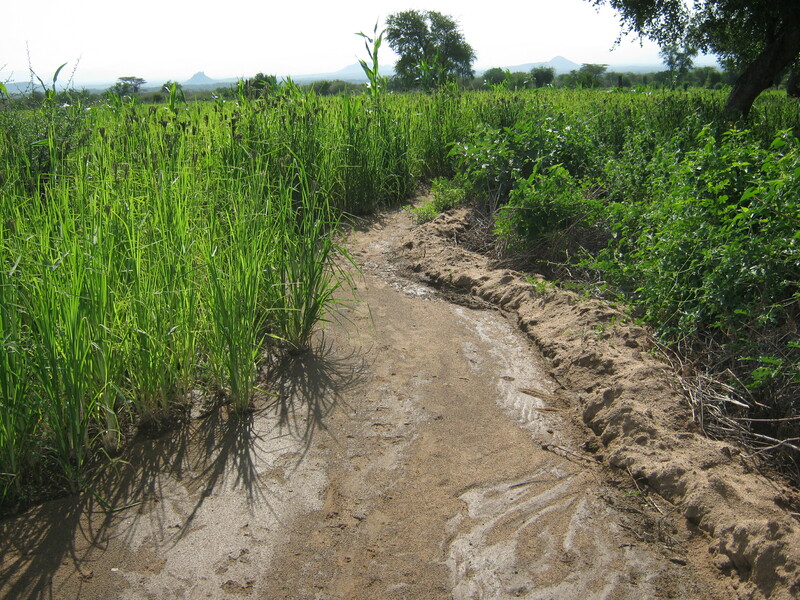 In the following article, African Farming Network lead investigator Henrietta L. Moore discusses the growing recognition of agroecological methods.